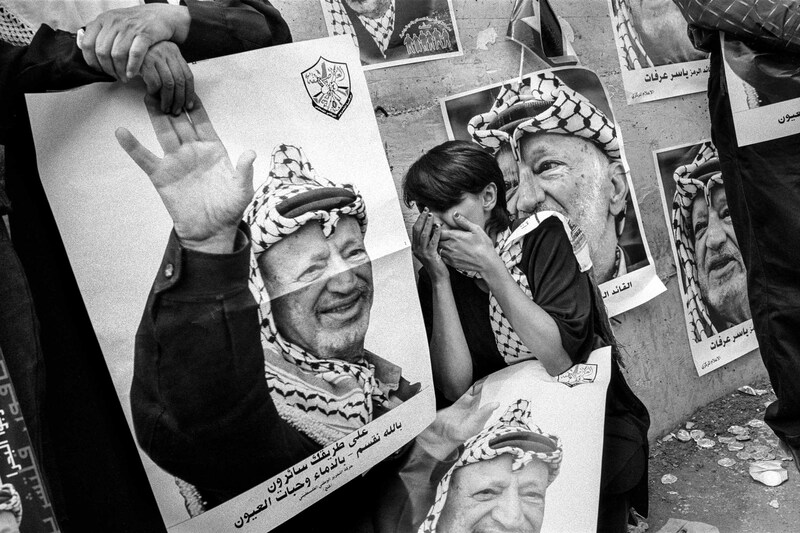 Ramallah, west bank - friday 12 november 2004: Palestinian women cry between portraits of the late President Yasser Arafat at the Muqata Arafat's headquarters for his funeral, on Friday 12 november 2004 in Ramallah, West Bank. 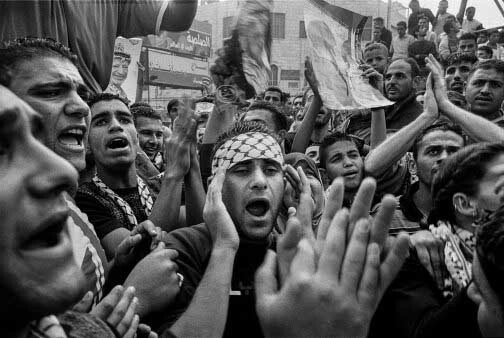 Gaza City, Gaza Strip - tuesday 9 2004: Palestinian militants of the Fatah movement and Palestinian gunmen supporters of Palestinian President Yasser Arafat rally in Gaza City at Arafat death announcement, on Wednesday 10 november 2004 in gaza Strip. Gaza City, Gaza Strip - tuesday 9 2004: The death announcement just happen. 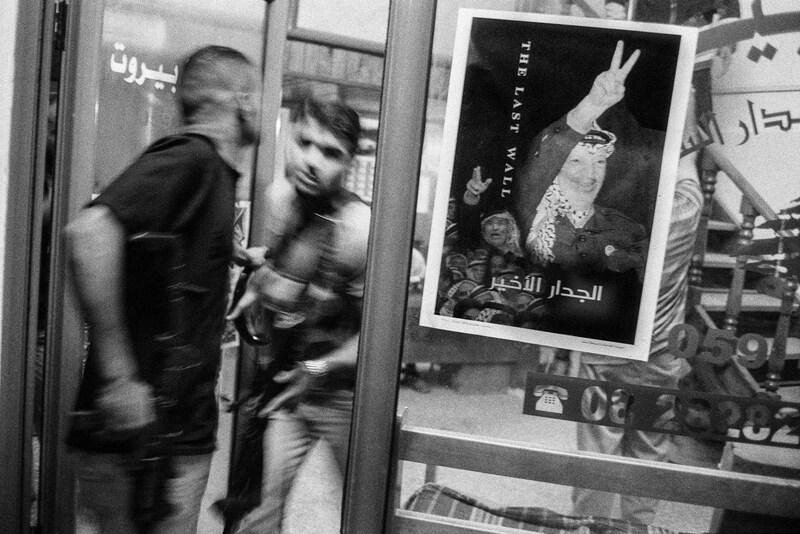 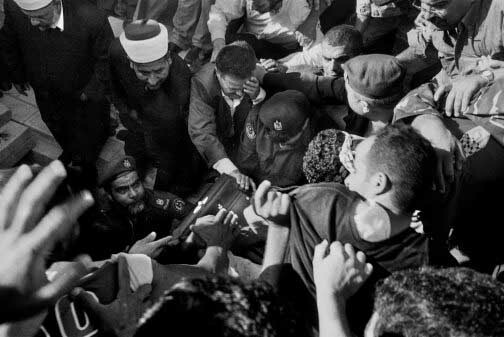 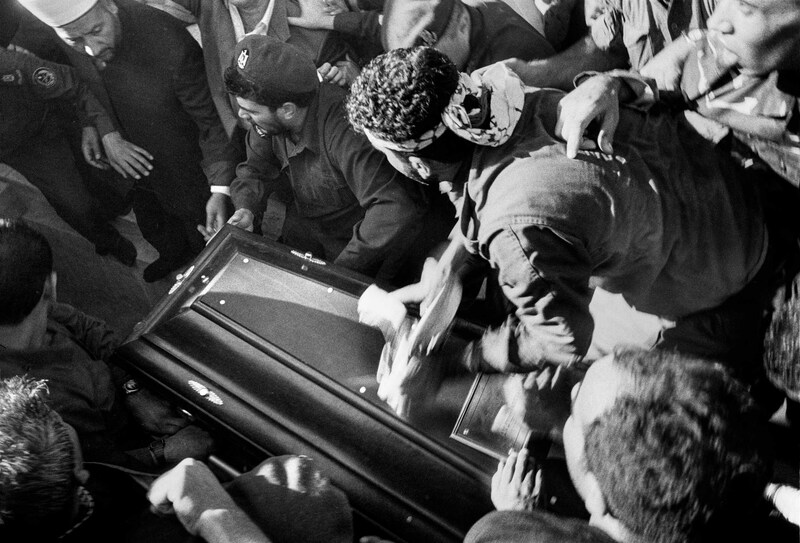 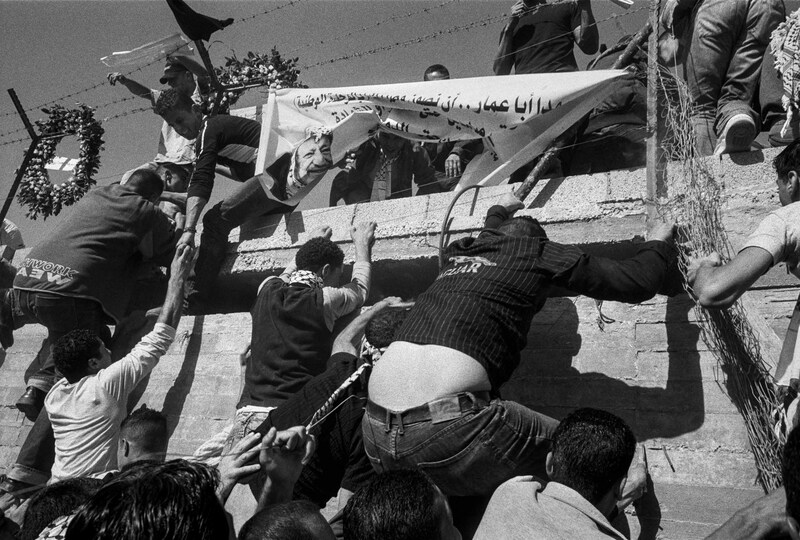 A Palestinian militants of the Fatah movement and Palestinian gunmen supporters of Palestinian President Yasser Arafat leave Fathah office in Gaza City at Arafat death announcement, on Wednesday 10 november 2004 in gaza Strip. 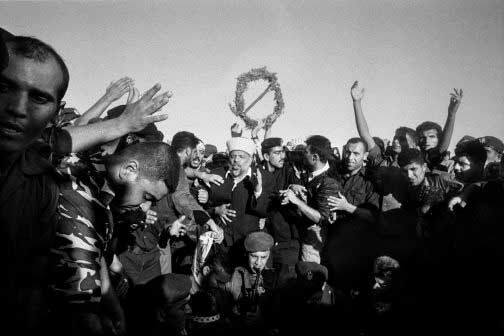 Ramallah, west bank - friday 12 november 2004: Palestinian militants of Fatah movement march in the street of Ramallah the morning of Arafat's death, on Friday 12 november 2004 in Ramallah, West Bank. 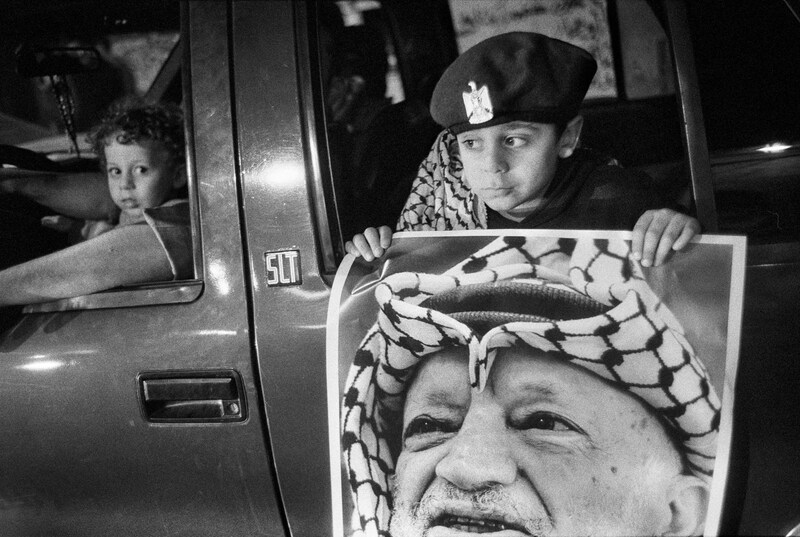 Ramallah, west bank - friday 12 november 2004: Palestinian holding posters of Yasser Arafat near the Muqata, Arafat's headquarters for his funeral, on Friday 12 november 2004 in Ramallah, West Bank. 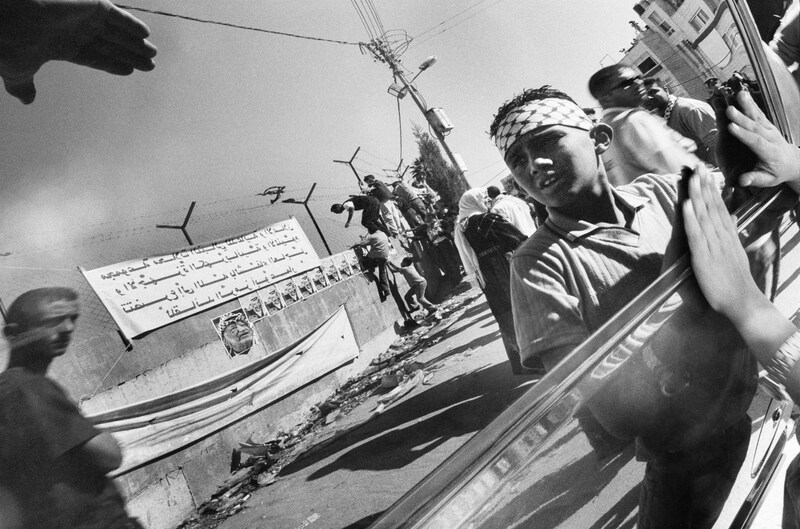 Ramallah, west bank - friday 12 november 2004: Palestinian boy wait outside the Muqata, Arafat's headquarters for Arafat's funeral due to happen the same day, on Friday 12 november 2004 in Ramallah, West Bank. Ramallah, west bank - friday 12 november 2004: Palestinian stand on the Muqata wall and put some poster as they wait at Muqata, Arafat's headquarters for his funeral, on Friday 12 november 2004 in Ramallah, West Bank. 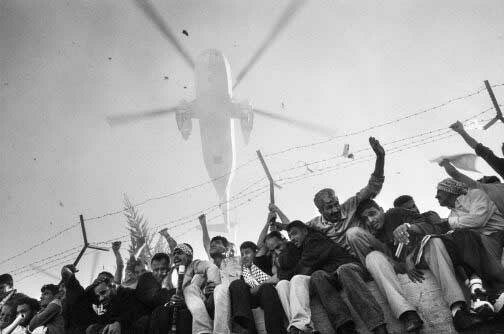 Ramallah, west bank - friday 12 november 2004: Thousand of Palestinians gather at the late President Arafat compound as one of the two helicopters carrying Arafat's remains and Palestinians leaders, lands in the West Bank town of Ramalah, on Friday 12 november 2004 in Ramallah, West Bank. 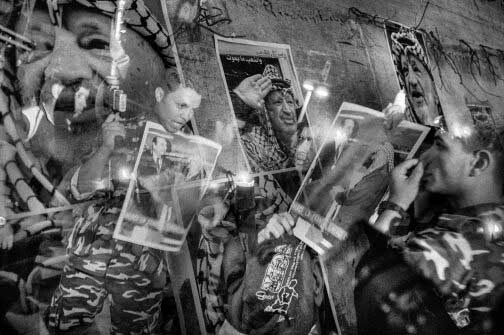 Ramallah, west bank - friday 12 november 2004: Palestinian women weep at the Muqata Arafat's headquarters for his funeral, on Friday 12 november 2004 in Ramallah, West Bank. 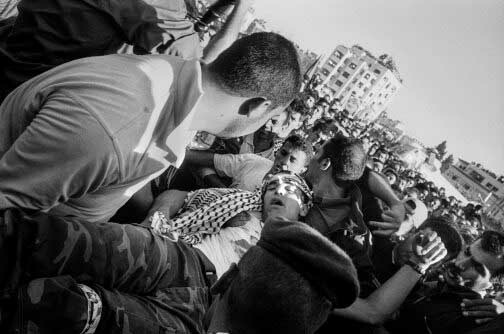 Ramallah, west bank - friday 12 november 2004: TV speaker during a live from a building in front of the muqata as every body wait for, Arafat's funeral, on Friday 12 november 2004 in Ramallah, West Bank. 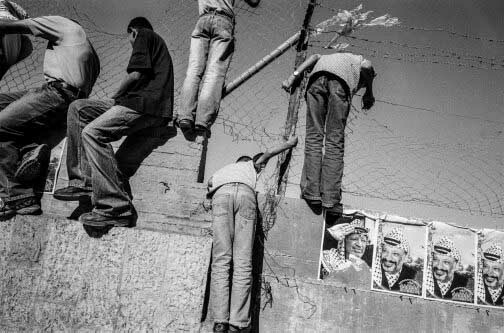 Ramallah, west bank - friday 12 november 2004: The Israely border with the west bank the of Arafat death, on Friday 12 november 2004 in Ramallah, West Bank. 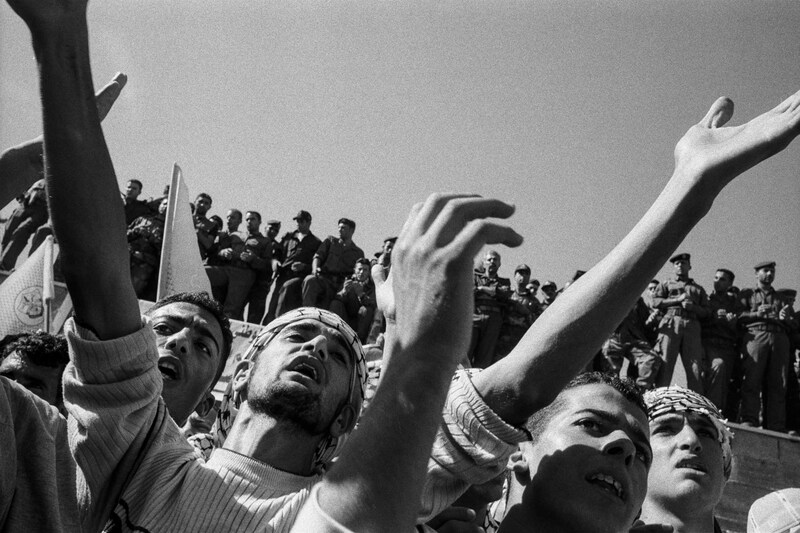 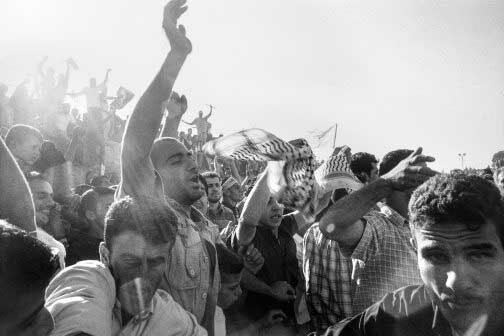 Ramallah, west bank - friday 12 november 2004: Palestinian shout Arafat slogans as they rally outside the Muqata, Arafat's headquarters for his funeral, on Friday 12 november 2004 in Ramallah, West Bank. Ramallah, west bank - friday 12 november 2004: Egyptian helicopter who carried the body of the late President Arafat arrive at the Muqata, Arafat's headquarters, Yasser Arafat will be buried on the same day in a chaotic scene of grief and gun fire at the compoundon Friday 12 november 2004 in Ramallah, West Bank. Ramallah, west bank - friday 12 november 2004: Palestinian supporters carring the coffin of Palestinian President Yasser Arafat at the Muqata Arafat's headquarters for his funeral, on Friday 12 november 2004 in Ramallah, West Bank. 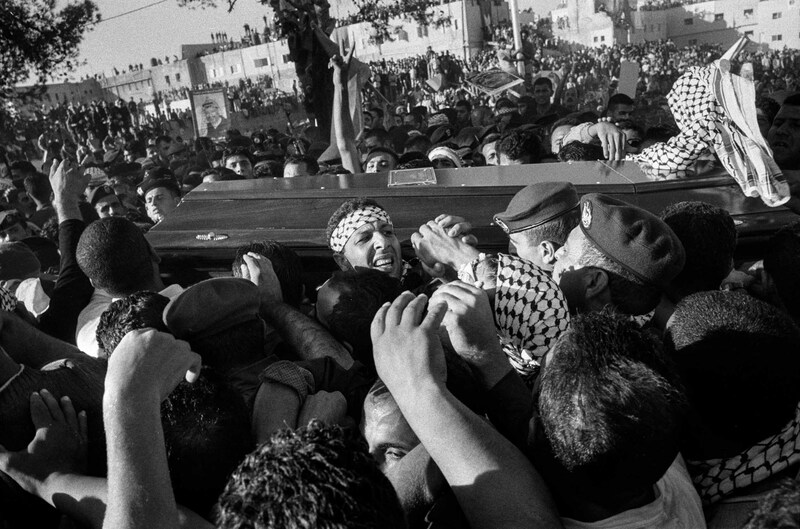 Ramallah, west bank - friday 12 november 2004:Arafat coffin is put in his grave by Palestinians supporters at the Muqata Arafat's headquarters for his funeral, on Friday 12 november 2004 in Ramallah, West Bank. Ramallah, west bank - friday 12 november 2004: Palestinian supporters of Palestinian President Yasser Arafat shoting in front of his grave inside the Muqata Arafat's headquarters for his funeral, on Friday 12 november 2004 in Ramallah, West Bank. Ramallah, west bank - friday 12 november 2004: Palestinian boy show from a car Arafat portrait in the street of Ramallah the morning of Arafat's death, on Friday 12 november 2004 in Ramallah, West Bank.